Operatives of the Nigerian Security and Civil Defence Corps (NSCDC) on Sunday said it had uncovered a mini black market petrol depot operated illegally at Nigerian National Petroleum Corporation (NNPC) mega filing station at Mando, Igabi Local Government Area of Kaduna State. Three persons, including the Station Supervisor of the NNPC Mega station, Usman Tanko, have been arrested. Petrol stocked in drums and jerry cans and constructed tanks were recovered. The items allegedly recovered included nine drums containing 200 litres of petrol each, nine jerry cans containing 50 litres of petrol, eight empty motorcycle tanks, nine vehicles, 13 empty generator tanks and seven motorcycles. All these, the State Commandant of the Corps, Modu Bunu, disclosed while speaking to journalists in Kaduna, against the backdrop of the persistent fuel scarcity in the state. Bunu said the command acted on intelligence report on the activities of alleged fuel racketeers operating at the filing station. The Commandant said, “we receive intelligence reports that beside this NNPC mega filling station, there was a mini black market depot. So, I waited till weekend when they thought there would be no work to strike. "I deployed armed personnel in three operational Hilux vehicles and you can see the success with the discovery. 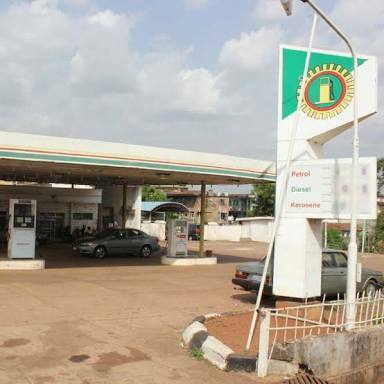 “It is unfortunate that this NNPC mega filling station gets two trucks of petrol almost on a daily basis and at times before 2pm, the fuel, according to them, is finished. "We have also apprehended the supervisor of the filling station for questioning.